ZURICH, June 11, 2018 /PRNewswire/ -- Chubb Limited (NYSE: CB) announced today that David Furby has been named Senior Vice President, Chubb Group and Regional President, European Group. Currently he is Vice President, Chubb Group and Division President, Commercial Property & Casualty, for Overseas General Insurance, the company's international general insurance business. In his new role, Mr. Furby will have overall responsibility for the general management and business results for all Chubb operations in the U.K. and Ireland and the Continent of Europe. The appointment will be effective July 1, subject to regulatory approval. Andrew Kendrick, who has led the company's European operations as Regional President since 2004, plans to retire from Chubb, and a distinguished four-decade career in the insurance industry, at year-end. 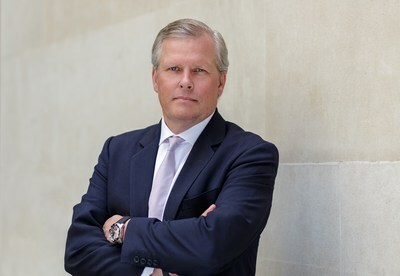 Mr. Kendrick will continue to serve as Senior Vice President, Chubb Group, and as executive chairman of the European Group through the end of 2018, focusing primarily on regulatory matters, including the company's Brexit plans and duties related to the Chubb European Group Board of Directors and its Joint Underwriting Control Committee. Timothy O'Donnell has been named Vice President, Chubb Group and Division President, Commercial Property & Casualty for Overseas General Insurance, succeeding Mr. Furby. Currently, Mr. O'Donnell serves as Executive Vice President, Financial Lines, and Chief Operating Officer of Commercial Property & Casualty for Overseas General Insurance. In his new role, he will be responsible for the company's international commercial P&C insurance business, including property, casualty, professional lines, energy and marine product lines. Both Mr. Furby and Mr. O'Donnell will report to Juan C. Andrade, Executive Vice President, Chubb Group and President, Overseas General Insurance. "As Chubb's second-largest region, Europe is a core franchise and a significant contributor to the results of our organization," said Evan G. Greenberg, Chairman and Chief Executive Officer. "Andrew has been part of our company for more than 20 years and a real partner to me and our senior management team. He has done much to lead and build our business and our reputation across the U.K. and Continental Europe. His distinguished career has been defined by his leadership, skill and collegiality. We have been fortunate to have Andrew on our team for so many years. Andrew has earned his retirement, but we look forward to continuing to benefit from his experience, counsel and energy in the coming months. "David Furby joined our company with Andrew as part of the same 1996 acquisition, and we are delighted that David will now lead our European region. David has broad, deep and exceptional industry experience. In his career, he has been a broker, an underwriter for a Lloyd's syndicate, managed our reinsurance business, and led our insurance operations on the Continent and then our commercial P&C business across our international division. David has proven he's ready for this important role, and I have every confidence in his abilities and skill as a leader to drive sustained growth and profitability across the UK and Continent." Mr. Andrade said: "I am pleased to welcome Tim to his new role. Tim is a natural successor to David and is an outstanding insurance executive. One of our company's most accomplished financial lines practitioners, Tim has demonstrated his commercial P&C expertise and senior leadership both in the U.S. and internationally." John Keogh, Executive Vice Chairman, Chubb Group and Chief Operating Officer, commented: "Andrew has had a remarkable career and one of his important, and obvious, legacies is the strength of the team he has helped build in the region. Both David and Tim have exceptional experience and are ready to bring their talents, leadership and insurance management skills to their new positions. We have an excellent team in place to pursue growth opportunities in our P&C, personal lines and accident and health businesses in this significant region of the world." Chubb also announced that Jalil Rehman, Chief Business Operations Officer, European Group, will be leaving the company effective July 1. "We thank Jalil for his 30 years of service with Chubb and especially for his contributions these past two years to our successful merger-related activities, bringing together the best of ACE and Chubb in the region. We wish him well with his new endeavors," said Mr. Andrade. David Furby has more than 35 years of experience in the insurance industry. Prior to ACE's acquisition of Chubb in January 2016, Mr. Furby was Division President, Commercial Property & Casualty, ACE Overseas General, a position he held since 2010. He was appointed Vice President, ACE Group, in March 2014. Previously, Mr. Furby was the Regional President responsible for the company's property and casualty business in Continental Europe. From 2002 to 2005, Mr. Furby was Division President of ACE Tempest Re Group, where he oversaw ACE's worldwide reinsurance operations, and he also served as the company's Corporate Reinsurance Officer. Mr. Furby joined ACE Group in 1996 when the company acquired the Ockham Syndicate. He was Treaty Underwriter for Syndicate 219, and later Director of Inwards and Outwards Reinsurance for Syndicate 2488, ACE Global Markets. Earlier in his career, he was a broker at Greig Fester from 1981 to 1989. Tim O'Donnell has more than 30 years of insurance industry experience. 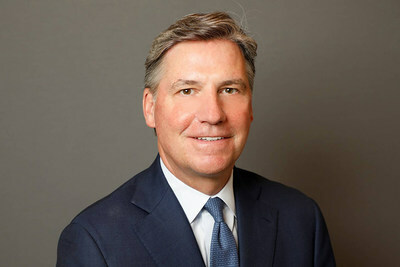 Prior to ACE's acquisition of Chubb in January 2016, he served as Executive Vice President, Financial Lines, for the company's international insurance operations. Mr. O'Donnell joined ACE in 2003 and was named Division President, Professional Lines, North America, in 2011, after serving as Division President, Professional Risk, ACE USA. Previously, he held senior leadership positions at American International Group (AIG) and served in senior underwriting roles at several national and global carriers and brokers. Mr. O'Donnell began his insurance industry career as an underwriter at Chubb in 1981. He holds a Bachelor's degree in Economics from Boston College.